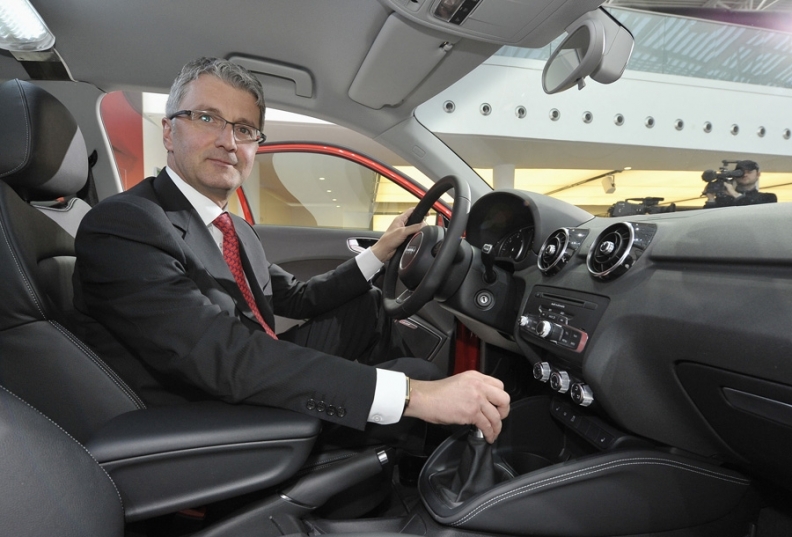 Audi boss Rupert Stadler has been named one of the keynote speakers for the annual International Consumer Electronics Show in early 2011. In recent years the show has become increasingly important as a venue for showcasing automotive-electronics technology. Audi CEO Rupert Stadler has been named one of the keynote speakers for the annual International Consumer Electronics Show. Stadler is expected to address the giant Las Vegas trade show on Jan. 6. Also, Audi will set up a display in the show's Electric Vehicle TechZone. CES is known largely as the place where companies announce the latest in flat-screen TVs, camcorders and the like, but in recent years it has become increasingly important as a venue for showcasing automotive-electronics technology. In 2008, then-General Motors Co. CEO Rick Wagoner delivered a keynote speech at the show. Ford Motor Co. CEO Alan Mulally keynoted in 2009 and 2010.